The level of loan application defect, fraud, and misrepresentation risks vary based on local conditions, according to the March 2018 data from First American’s  Loan Application Defect Index. While the overall Loan Application Defect Index  at First American indicated a decrease in the frequency of defects, fraud, and misrepresentation in mortgage loan applications by 1.2 percent from the previous month, the defect index for refinance transactions increased by 1.4 percent compared with the previous month and was 11.1 percent higher than a year ago. The index for purchase transactions decreased by 2.2 percent compared with the previous month and was up 2.3 percent compared with a year ago. The First American Loan Application Defect Index estimates the level of defects detected in the information submitted in mortgage loan applications processed by First American. The index is based on the frequency with which defect indicators are identified. The report revealed that in the last three months, six markets experienced an increase in defect, fraud and misrepresentation risk of more than 10 percent while three other markets experienced a decline of more than 10 percent. A higher concentration of markets with more defect risk was seen in Little Rock, Arkansas; Miami, Florida; and Knoxville, Tennessee. On the other hand, Rochester, New York; Scranton, Pennsylvania; and Toledo, Ohio were the least risky markets. “How this geographic trend in defect risk changes in the next few months bears watching as we consider what risk factors may be at play in each market,” said Fleming. 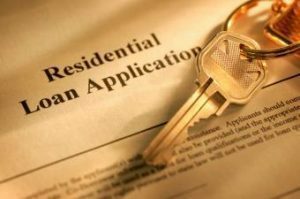 Looking at conditions that can impact defect risk levels, the report found that transactions involving condominiums carried higher defect risk than those for single-family homes and that purchase loans exhibited a greater propensity for defect risk than refinance transactions. Transactions involving second homes or investment properties were also deemed at a higher risk level for defects in loan applications.